This picture was taken this week. 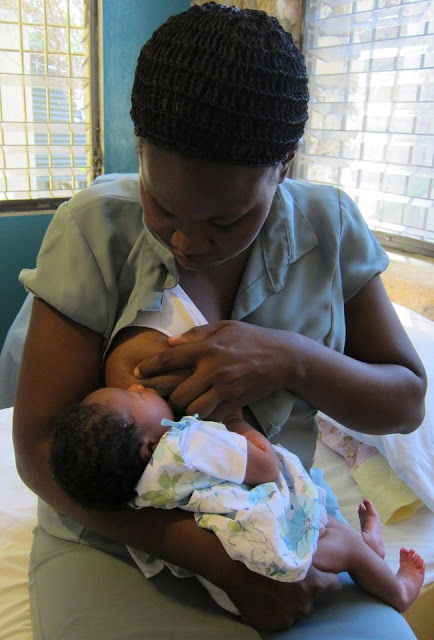 It is Elaudie and her three day old daughter, born at the Heartline Maternity Center in Haiti. Dang it, I still get the letdown reflex when I see a baby latching on. Doesn't matter that we stopped nursing 6 years ago! Once a mammal Mama, always a mammal Mama!